Note: Team check-in will be at your long-term problem performance location. Only coaches may check in their teams. 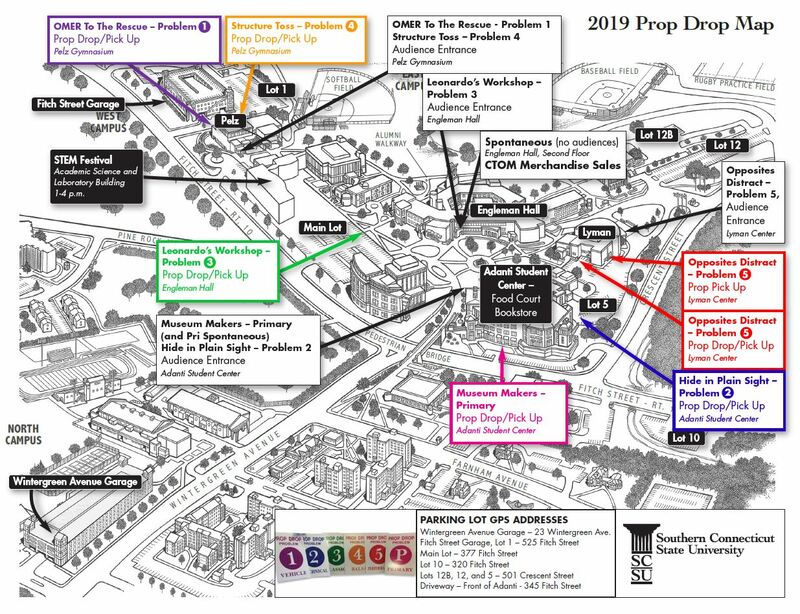 See prop drop map here. Teams will check in at the Spontaneous check-in desk and then will be directed to the holding room. Once the team is escorted to the competition room, the coach will wait for the team’s return in the debriefing room.